As Managing Director of Australia, Brenton is responsible for our business operations and performance across the country. 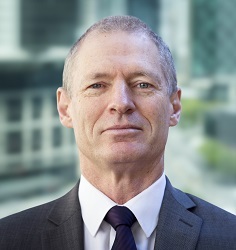 Brenton has over 25 years global experience, working closely with a number of industry sectors including Energy, Utilities, Financial Services and Government. He has worked for a number of global IT software and services companies including IBM, Logica, SPL WorldGroup and eMeter (now owned by Siemens). He excels in assisting organisations grow strategically.